Salsa verde or green sauce or sauce verde is a specialty in many countries like France, Italy and Mexico where the all have their version. Italians make it with capers, anchovies, mustard and olive oil and the French version is a tarragon flavored mayonnaise. Mexicans make it with tomatillos, cilantro, lime juice and jalapeños for a tangy and spicy green sauce you can use for various purposes. Its perfect as a dip for vegetables, a sauce to serve mussels or a sauce to serve with meat like roast beef. Let your imagination run wild as to where to use it. 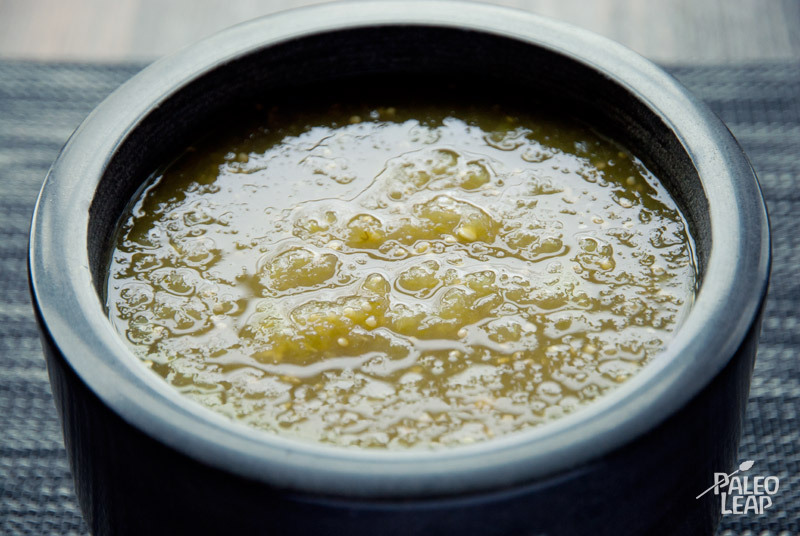 The tomatillos are usually roasted, but you can alternatively simmer them for about 5 minutes for similar results. Cut the tomatillos lengthwise and roast them either on the grill or for about 6 minutes under the broiler until the skin is a little dark. Put the roasted tomatillos, onion, cilantro, lime juice and jalapeño in a blender or food processor. Blend or process until you obtain a smooth puree. Place in the refrigerator to cool and enjoy.